A new service was started in San Carlos last month to help local homeowners reduce their electric bills and carbon footprint. The service is called PowerDowntm, and is managed by San Carlos resident Chris Hunt. PowerDown bills itself as an “electricity auditing service” that comes to your house, examines your family’s electricity usage, and installs energy-saving equipment the same day. By having someone come to the home not only prepared to make the changes but bringing the energy-saving devices, the savings can kick in immediately. PowerDown temporarily installs an energy monitor that reads the power directly from the circuit breaker box, and spikes are noted as different appliances are powered on and off. Once homeowners know what something is costing them, they can act. 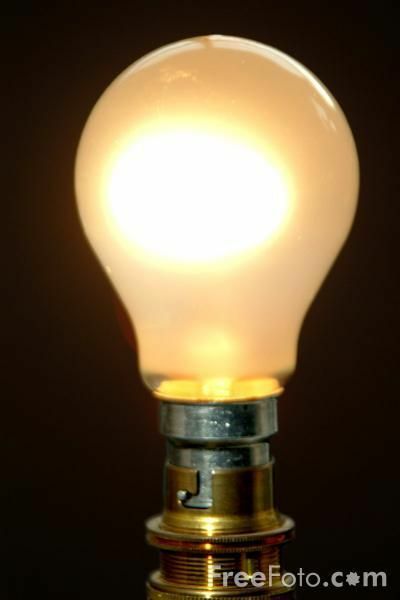 To make that a reality, PowerDown also brings a variety of CFL bulbs (Compact Fluorescent Lightbulbs) to replace incandescent bulbs, plus various types of specialized power strips that are used to control entertainment centers and computer setups. Just eliminating background power drains can make a noticeable difference. Hunt does caution though that if your electric bills already average less then $135 month you are not doing badly now and there isn’t much more to reduce. PowerDown clients with higher bills have seen anywhere from 10% to 25% reductions from month-to-month or year-over-year, particularly if they own pools and adjust downward the number of hours the pool pumps run each day. For more information on PowerDown, please visit their website by clicking here. We told the kids that if they (and we) were diligent about turning off lights when not in a room, turning off the TV and computers when not in use, etc, that we would split any savings we had on our electrical bill with them. We saved $60 on electric our first month and have maintained that savings ever since. The kids were thrilled to get their $15 share, and it has really helped all of us change our behavior. Our electric bill for our ~3000 sq ft house is now around $100/month. I have changed out all the lights that I can to CFLs, but many of our lights are on dimmers and I can’t find any good dimmable CFLs – any reccomendations? Hi Carol – You’ve hit on one of the weakest areas of the CFL industry. I’ve tried several brands of “dimmable” CFLs and the best I’ve found is from Sylvania. It’s a flood shape, 15 wt yielding 65 wt. They are more expensive than the dimmable Feit Ecobulb or even the Neptun brand (mail order only) but they worked for me when the others didn’t. Last, it’s not bad that you’re on dimmers, that’s a good start. The problem comes when you have 12-18 recessed lights (cans) in your kitchen, each at 75 wts rounding up to 900-1350 wts and the kids come in, flip the switch on high and leave two minutes later. That’s when dimmable CFLs at 14 wts each pay off. Thanks Chris – I will try those!